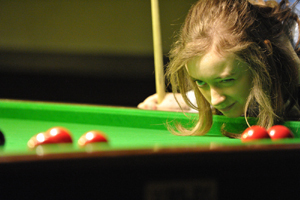 MARIA Catalano has ended Reanne Evans’ 90-match unbeaten run on the women’s snooker circuit. The 29-year-old’s historic 3-1 victory came in the semi-finals of the inaugural Northern Championship at the North East Derbyshire Snooker Centre, Clay Cross. Catalano, who went on to beat Hong Kong’s Yu Ching Ching 3-1 in the final, said: “I’m over the moon to get a win over Reanne, really, because it’s been such a long time. “We’ve had quite a few close matches, to be fair. She started off really well as she normally does. Then the frames went a little bit scrappy. We both missed a couple and I just managed to pot a few more than she did. 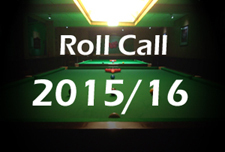 Catalano, Ronnie O’Sullivan’s cousin, and seven-time women’s world champion Evans both live in Dudley, West Midlands. In the final, Catalano opened proceedings with an 81 break. A 39 doubled the advantage before Yu pulled one back with a 52. But the world number two wrapped up her sixth ranking title with a run of 69. “It was a good final,” said Catalano, who had been granted the weekend off from her dad’s ice-cream business. “I really enjoyed it. “I’ve not really had a chance to practise much so it’s a massive win for me. I can count on the fingers of one hand how many times I’ve practised since (the World Championships) in April. Yu defeated world number five Eva Palmius 3-2 in the second semi. Evans had reached the nervous nineties by accounting for Portsmouth’s Emma Bonney 3-0 in the quarter-finals. The undisputed world number one last suffered defeat on March 1, 2008, when she lost 3-2 to Catalano in the Connie Cough National Championship final. The previous record of 69 straight wins was held by Kelly Fisher. That run was also ended by Catalano. Meanwhile, there was double delight for Derby schoolgirl Hannah Jones. The 15-year-old won the Plate competition and the new Shield event for players under the age of 40. 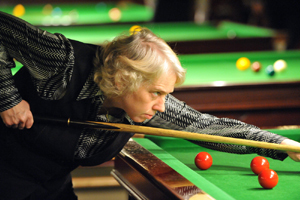 Jenny Poulter triumphed in the Seniors tournament. 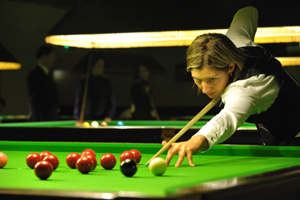 The Northern Championship, the first of six ranking events on the World Ladies Billiards & Snooker Association’ 2011/12 tour, was the first tournament since chairman Mandy Fisher retired after 30 years running the women’s game. Organisers hailed it a “big success”. PRELIMS: Vicky Carter 0 Yu Ching Ching 3, Tina Owen-Sevilton 3 Ng On Yee 1, Hannah Jones 1 Jenny Poulter 3. LAST-16: Yu 3 Jan Hughes 1, Owen-Sevilton 3 Pam Wood 0, Poulter 1 Eva Palmius 3, Naomi Clare 0 Gaye Jones 3, Maria Catalano 3 Natascha Niermann 1, So Man Yan 3 Maureen Rowland 0, Jaique Ip Wan In 2 Emma Bonney 3, Marianne Williams 0 Reanne Evans 3. 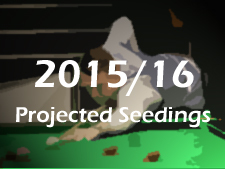 QUARTER-FINALS: Yu 3 Owen-Sevilton 1, Palmius 3 G Jones 1, Catalano 3 So 0, Bonney 0 Evans 3. SEMI-FINALS (£40): Yu 3 Palmius 2, Catalano 3 Evans 1. FINAL (£120/£80): Catalano 3 Yu 1. QUARTER-FINALS: Marianne Williams 0 Jenny Poulter 1, Maureen Rowland 1 Eva Palmius 0. SEMI-FINALS: Jan Hughes 0 Poulter 1, Rowland 1 Pam Wood 0. FINAL: Poulter 1 Rowland 0. LAST-16: Vicky Carter 2 Pam Wood 1, Maureen Rowland 0 Jan Hughes 2, Marianne Williams 1 Jaique Ip Wan In 2. QUARTER-FINALS: Carter 0 Hannah Jones 2, Hughes 0 Ng On Yee 2, Ip Wan In 2 Natascha Niermann 0, Jenny Poulter 2 Naomi Clare 0. SEMI-FINALS: Jones 2 Ng 0, Ip Wan In 1 Poulter 2. FINAL (£25/£15): Jones 2 Poulter 1. SEMI-FINALS: Vicky Carter 0 Owen-Sevilton 1, So Man Yan 0 Hannah Jones 1. FINAL: Jones 1 Owen-Sevilton 0. So close to a hundred.. But still an amazing accomplishment. It would be nice to see another girl get a try at the main tour.